New Jersey has been in the news quite a bit lately, as we’re seeing the underbelly of one of the most corrupt states in the country. Louisiana is another, but there’s something about New Jersey strong-arm tactics that set it apart. Still, there’s plenty to like about New Jersey politicians as well, particularly when they tell the politically correct suits in Washington to go to hell. There’s been all sorts of controversy through the years as the feds tried to stop people from enjoying themselves by playing poker and other games online. Then we had a court explain that federal law didn’t cover games of skill like poker, and now we have a bunch of states led by New Jersey making it clear that they’d like to control how people entertain themselves in their state. The state of New Jersey is now allowing its citizens and people in their state to play online. The latest news has Richard Branson’s Virgin Group getting involved as they have teamed with the Tropicana Resort in Atlantic City and online game maker Gamesys. They will offer online poker, blackjack and slots this week. The state hopes to bring in $1 billion in casino revenues this year by imposing a 17% tax. Finally, something that makes sense. Of course people have been playing for years and this industry is growing like crazy. Everyone accepts online poker as a new and fun form of entertainment, and many new poker champions started by playing online. There are tons of poker sites for American players and there always will be, but now we have states getting in on the act and that should make things even better for consumers. Hopefully, this push from the states will finally get Congress to adapt consistent rules and regulations, or at least make it even easier for states to innovate. Poker has become such a popular game and it seems silly to deny people the right to enjoy it in their pajamas. Sure, real casinos are fun, but sometimes staying home and playing on your own is even better. The gaming world seems to change faster than most industries these days. Several years ago Nintendo was on fire with the Wii, and now everyone seems down on the company and Wii U. How did things change so fast? Well, it shouldn’t be surprising in a world where cheap apps are flooded onto the scene, offering new options daily for gaming fans, and online gaming options seem to expand exponentially as well, with everything from slot games at Sports Interaction, massive multiplayer games and then games like Minecraft that seem to turn conventional wisdom on its head. The console makers seemed to rule the world just several years ago, and then social gaming companies like Zynga suddenly became powerhouses, but now we’ve seen how quickly things change. Wii also will be facing the PlayStation 4 and Xbox One in coming months, so even in its own console space the competition is fierce. But many still have faith in Nintendo. Oddworld Inhabitants founder Lorne Lanning recently made the bold statement that Nintendo would be around for another 100 years, while Zynga would not. Casual observers might be startled a bit by this statement, but when you look more closely at the history, the man has an excellent point. Nintendo is a 124-year-old company that was founded in 1889 as a producer of playing cards. The concept of innovation has been ingrained in this company and its financials are very healthy. Nintendo president Satoru Iwata has made it clear he won’t be laying off development staff to deal with short term problems, as that would destroy the company long term. He understands that the key to long term success involves consistently producing great products. He shouldn’t let the short term analysts distort his thinking. While this culture is ingrained at Nintendo, a young company like Zynga has less to fall back on in tough times. Their games exploded in popularity off of Facebook, but then reality set in when the landscape was changed a bit. Now who knows how they will react to adversity? I wouldn’t make a long-term bet on them. So when you look at the landscape out there, it’s clear that games will come and go, and so will gaming companies. But I think a company like Nintendo with a tradition of innovation should be able to ride out the highs and lows. Poker has been steadily gaining in popularity for years, and the number of people trying their luck at casino poker tables has grown. These days, people have options when it comes to playing casino games. When given the choice or playing poker online or playing in person, playing online has its advantages. When you play poker at sportsbook.com, you do not need to be a World Series of Poker professional to get involved. One of the main advantages to playing poker online is that you can take all the time you want to learn the game before you start playing for real. The websites offer tutorials and training games that you can use to figure out what is going on and what you need to do to score big. If you have played poker in a casino at all, then you know about the audience that can sometimes develop around a good game. Even if the game is not good, there is always the chance that someone will plant themselves right behind you and make you feel uncomfortable. When you play poker online, you do not need to worry about these distractions, which allows you to focus on the game at hand. An online casino never closes, no matter what. If you want to play poker at 3:00AM on a Wednesday, then you will always be able to find people online who are interested in a good game. Online poker allows you to play on your schedule, and not on someone else’s. If you do live near a casino, then it can sometimes be inconvenient to get dressed, get in the car and drive over to the casino just to find a poker table you can play at. 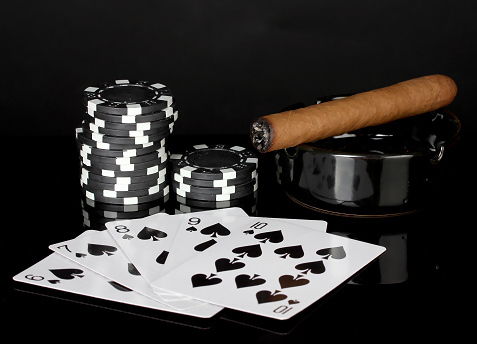 If you do not live near a casino, then your problems at finding a casino-caliber poker game are obviously much larger. 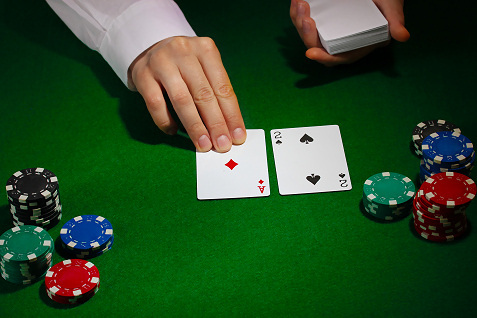 With an online poker website, you do not need a casino to play poker. You also do not need to spend time finding a parking spot and then walking around the casino just to find an open table. Poker is an exciting card game that requires skill and a complete understanding of all of the different elements. If you want to play the game at your own pace and on your own schedule, then you will want to check out the many convenient options available for online poker. On any given day I’ll spend about 20 minutes on Reddit. There’s a lot of crap there, and a lot of good stuff goes overlooked (just check the ‘what’s new’ tab of any subreddit and you’ll see what I mean), but there is so much good, so much funny, so much interesting that it’s always worth my time, even if that time is shared with a certain porcelain throne. Today, one post in particular caught my eye – ‘DAE think a middle school kid reviewed Dead Space 2 for IGN?’ As someone who writes about video games for a living, I had to check it out and, honestly, I found myself wondering the same thing. I’ve seen sites run guest posts from aspiring youngsters for big debuts. The perspective is usually refreshing but still relevant, even if some of the more complex critique is missing. In this case, though, it was just a bad review. I feel a little guilty writing that. The internet can be a cruel place, as Greg Miller, the writer, surely knows. He’s receiving a lot of crap for it. Check Twitter for #HireMeIGN and you’ll get an admittedly funny look at Greg’s world right now. That’s the part that’s so interesting to me. The review was poorly written, there’s no way around that, but people are trolling this guy in ways I rarely see. I’ll be taking a deeper look at the situation later in the week on our parent site, Bullz-Eye.com. Stay tuned. Are you sitting on a pile of holiday money with nowhere to spend it? If you’re an avid gamer with cash to spend, you could check out a web service we wrote about a couple days ago, Playwithme.com. It might not be for everyone, but it is a way to spend some money if you are interested in games. Playwithme.com lets you play Flash games and console games against hot young gamers. You pay for credits and use those credits to buy game time with the girl of your choice. If she’s online, you can play games until the money runs out. The system at Playwithme.com lets you chat with the girl gamers as you play. It’s easier to chat if you’re playing a Flash game because those usually have turns. Console games will require more attention on the game and less time chatting with the girl you chose. You get more from your money for playing the Flash games.